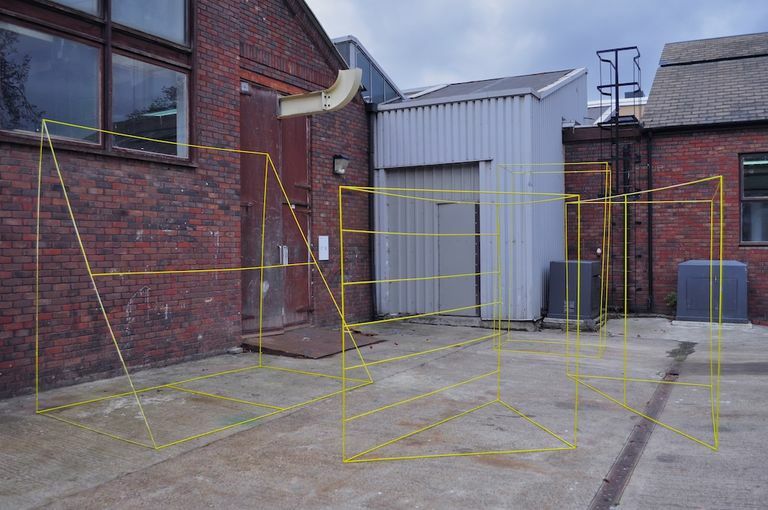 An investigation into ‘Kinesthesia’, defined as an awareness (experiencing via senses) of the movement of the body, Nathan Murphy’s research focuses on the viewers interactions with space and the psychological implications present in this relationship. His grand structural form interrupt spaces as we anticipate them to be, heightening visual and physical interaction. 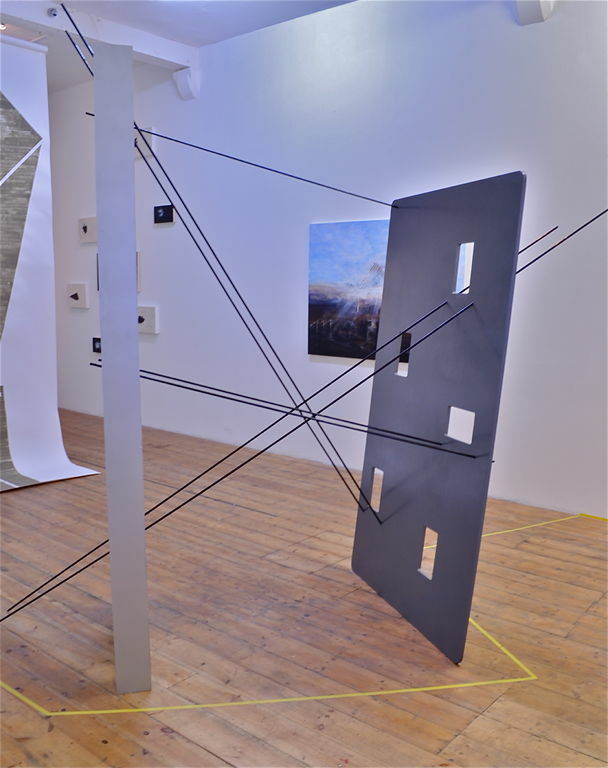 Using minimal forms and synthetic materials on a grand scale allows Murphy to impact on the physical space, with the dynamic linear forms of the sculptures, or the reflective surfaces affecting perceptions of depth, but also with a spacial interruption which passes beyond the limits of the sculpture, reordering the entire room or space they inhabit. 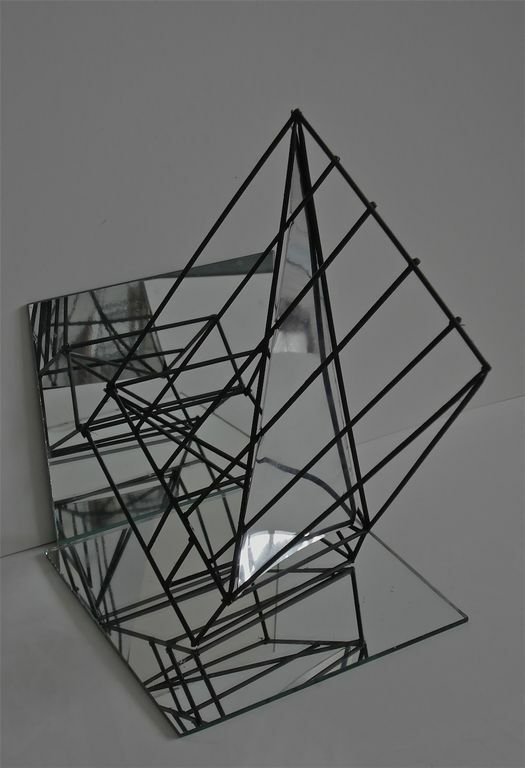 The optical/ocular relationship presented through these geometric constructions is an important aspect in this process of visually perceiving the space and areas created. 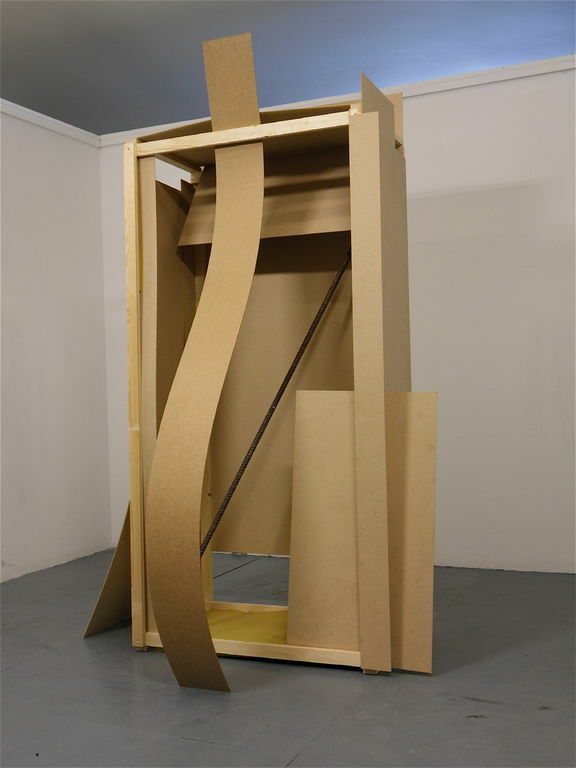 A tension exists internally within each piece, but expands beyond the confines of the piece, physically with the extremities of the sculptures often sharply jutting into open space and lacing the space it frames to give a definitive delineation of the space, often with minimal materials. 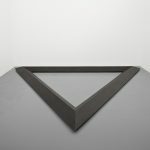 The framing is also a device used when looking through some of the works, drawing the rest of the room into the sculpture, thereby distorting the separation between space and form. 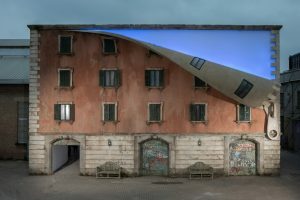 This distortion gives weight to the form, its presence is transformative, an effect counterbalanced by the way the forms are changed when moving there environments, again striking perfect pitch of tension, with the environment and form mutually influencing the perception of each, so that neither dominates, frame and form are equals and each affects our interactions with the space inhabited. 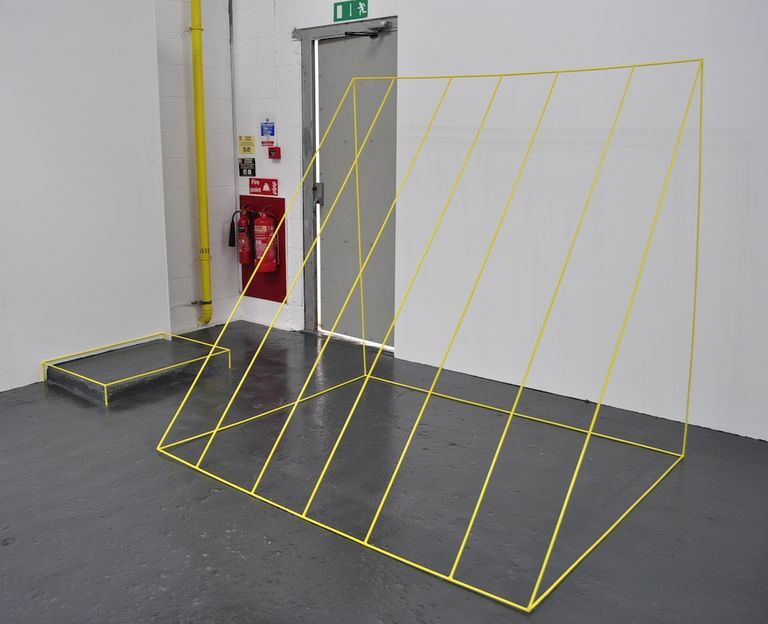 This entry was posted in NEWS and tagged Future Map 11, Nathan Murphy, Rachel Bennett, Sculpture, University of the Arts, Zabludowicz Collection. Bookmark the permalink.